When West Coast list manager Brady Rawlings took a chance on Liam Ryan, it wasn't because he was seduced by the high-flying Subiaco star's highlights reel. Everyone knew about the screamers and stunning goals, but every top-flight club overlooked the freakish forward in the 2016 drafts. What it ultimately took was a spike in Ryan's defensive pressure and workrate for his name to be called with pick No.26 the following year. While some rough edges still needed to be shorn off, it's hard to imagine Rawlings or anyone at the Eagles could have foreseen the WAFL superstar morphing into an elite pressure forward after just 16 AFL games. In the Grand Final rematch against Collingwood last Saturday night, Ryan only laid one tackle but his pressure acts (29) – the measure coaches rate more than ever from their small forwards – were through the roof. "What Liam did tonight was sensational with his pressure," Eagles coach Adam Simpson said after the 22-point win. "He broke all records within the club, which we're really proud of because when he got to the club there was probably some of the parts of the game he didn't really concentrate on." According to Champion Data, Ryan's teammate Jamie Cripps has recorded more pressure acts (32) as a small forward, while retired midfield tackling machine Matt Priddis once tallied 43, so it is difficult to say exactly which measures the Eagles are using. But what is crystal clear is Ryan's willingness to work harder defensively. Champion Data measures four areas of pressure – corralling, chasing, closing and physical. Each is worth a certain number of points, with physical valued most. Ryan's career-best pressure performance in terms of points (61.8) came in the round one loss to Brisbane, when he laid six tackles. But his round three effort (57.5) wasn't far behind, and both were greater than his No.1 production last year in the Grand Final (51.8). It shows the 22-year-old's growth, and selflessness. 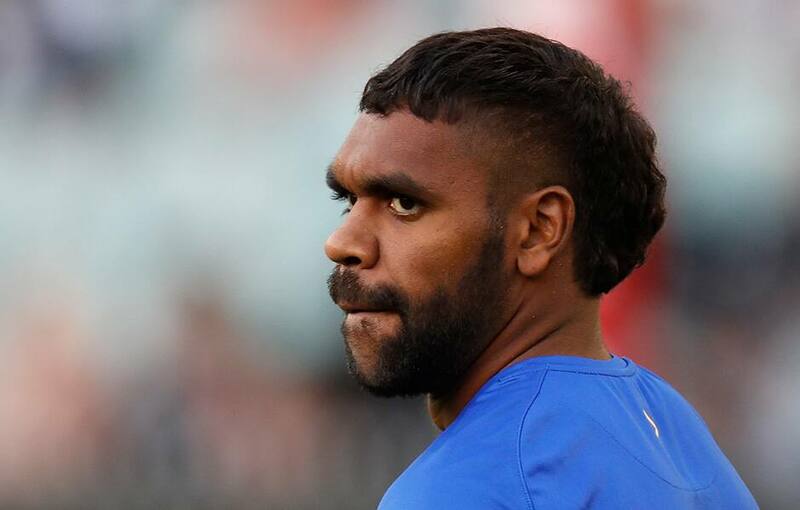 With Cripps, a relentless forward 50 tackler, and speedy sidekick Willie Rioli missing games through injury, Ryan has upped his pressure and is less concerned with scoring. He booted 20 goals in 13 matches in his debut season, but has just two in three appearances in 2019. Meanwhile, after giving away nine goal assists last year, he has already directly passed on four this season – including again setting up Dom Sheed for another dagger to Magpie hearts in round three. "What was so pleasing about Liam's game was he set up three or four goals and he brought pressure," West Coast forwards coach Jaymie Graham told AFL.com.au. It's all part of the rounding of Ryan's game, and continued moulding of his natural talent into the Eagles' remarkably efficient system. "Playing at AFL level you get pretty good defenders who might take away what you see as your strength," Graham said. "One thing Liam has changed in his game is he's staying down a lot more, he is applying pressure at ground level. "As a coaching group we value that, and Liam to his credit is working hard at it. "He's got himself fit and he's able to do the work both ways, offensively and defensively." Ryan still has the licence to fly when the time is right and will naturally be a scoring threat, but he is evolving – a process which started at Subiaco. The 179cm livewire burst onto the WAFL scene with 40 majors in 16 games in 2016, but went to another level the following season. Ryan nailed 73 goals for the Lions in 23 appearances – and incredibly had four of the five WAFL Mark of the Year nominations – but he became much more than just a human highlight reel. "His first 12 months he was just adapting to WAFL football, and then he finally realised there's more to it than just kicking goals and taking screamers," former Subiaco coach Jarrad Schofield, now a Port Adelaide assistant, told AFL.com.au. "He knew he had to work when he didn't have the ball." Those at West Coast believe Ryan still has plenty of room to improve as he becomes more consistent. But the premiership-winning Eagle is clearly a quick learner who wants to get better. "Liam was always open to growing his game, because his ultimate goal was to play at the highest level," Schofield said. "He, like any young footballer, was a little bit inconsistent at times, but when he turned it on with his defensive behaviours he was a really complete player."